I’m FINALLY caught up! 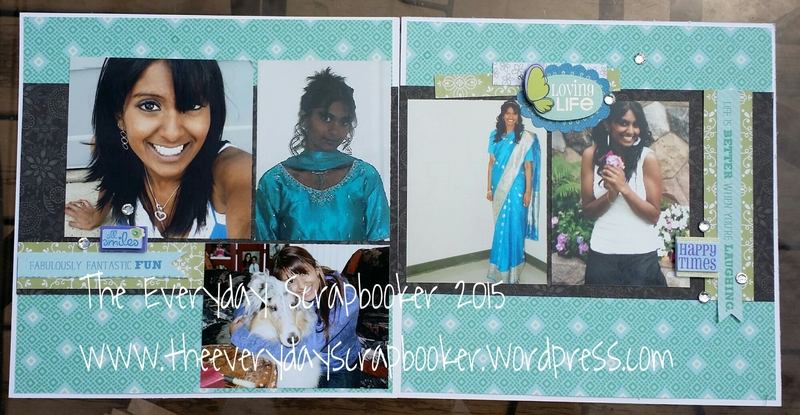 The first image is the last layout in my first special request album. I’ve actually got two additional pages to add to this album- I need to complete them by next Friday, so they can be added to this album (they’re wedding pictures, if you’re wondering. The recipient wasn’t married at the time this album was completed). 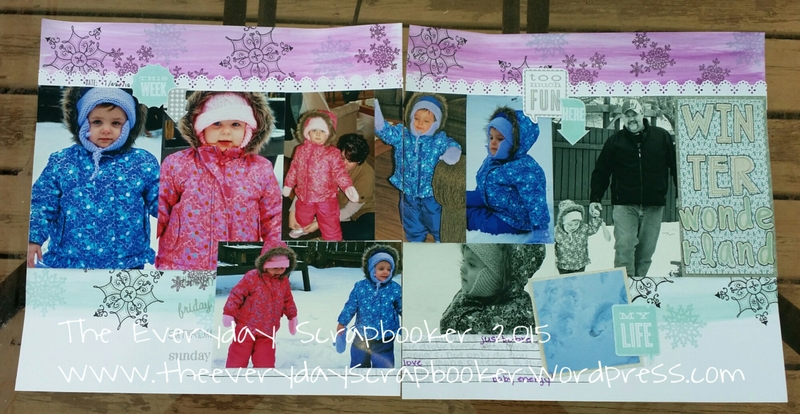 The next image is a scraplift of a layout I’d seen on Paper Issues Facebook feed- in the comments on a particular post a few weeks ago. Stay tuned for images from my second special request album in the very near future! There’s only one day left in July, and that means this is your last chance to take advantage of CTMH’s Jump on it Promo. 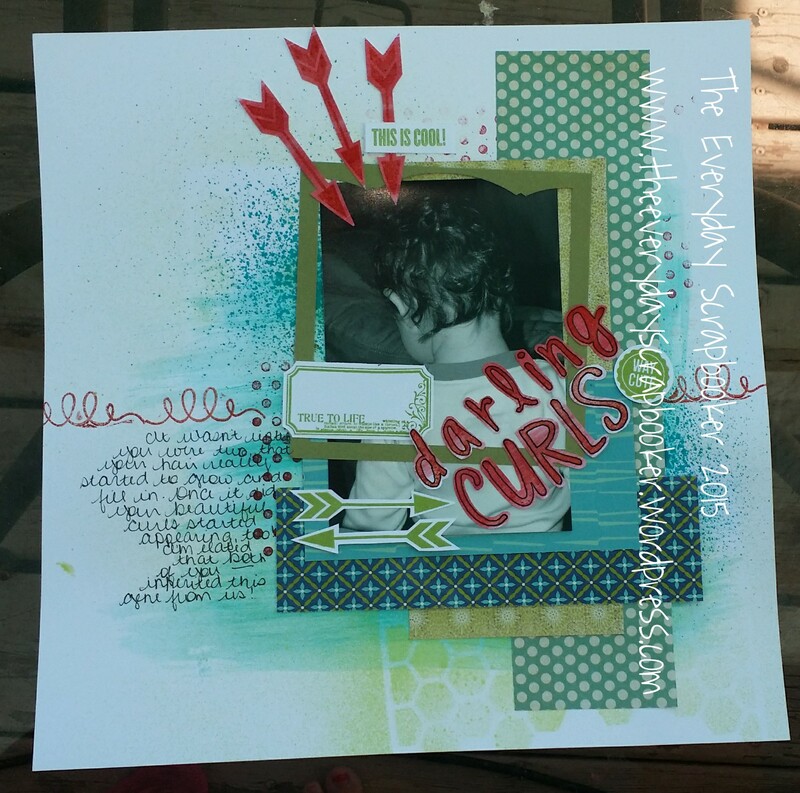 Purchase $25 worth of any current stamp set and receive the July SOTM for FREE! You can also purchase the Hostess Rewards stamp sets for just $5 each- when you purchase $25 worth of any of our current stamp sets. Maybe August’s promo will interest you. If you’re looking for paper crafting storage options, stay tuned! I’ll reveal more details tomorrow! Eep, I’m getting close to getting all caught up! I will continue sharing multiple projects for the foreseeable future- at least until I’m caught up on projects to share with you. Then I’ll return to one project per post. 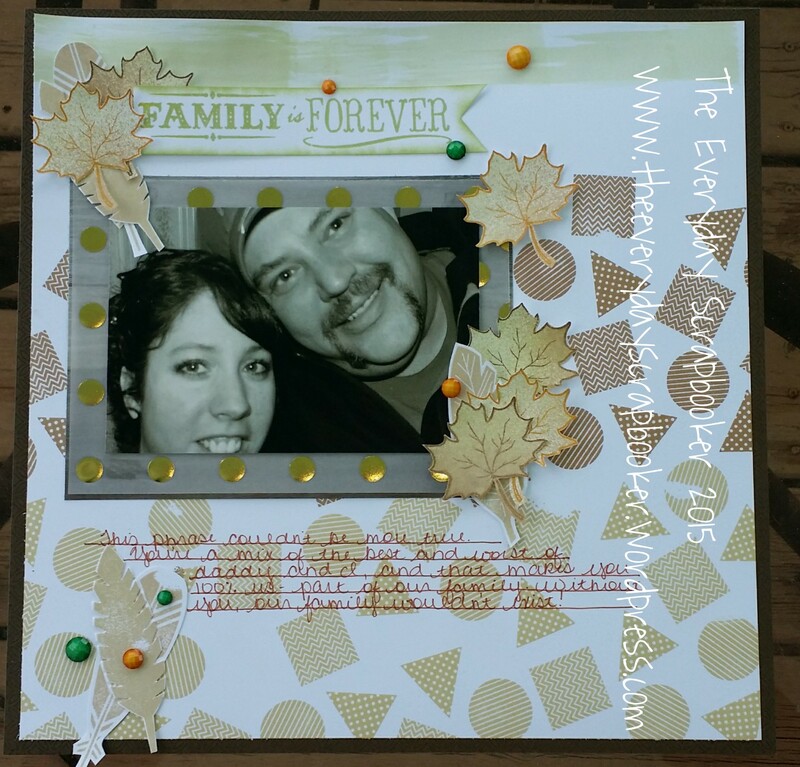 For right now, I have no other handmade cards to share, but I still have a number of personal layouts and double page special request layouts to share. I’m hoping you’re enjoying all the inspiration! As always, my inspiration for my projects comes from Pinterest. Visit my Pinterest here. 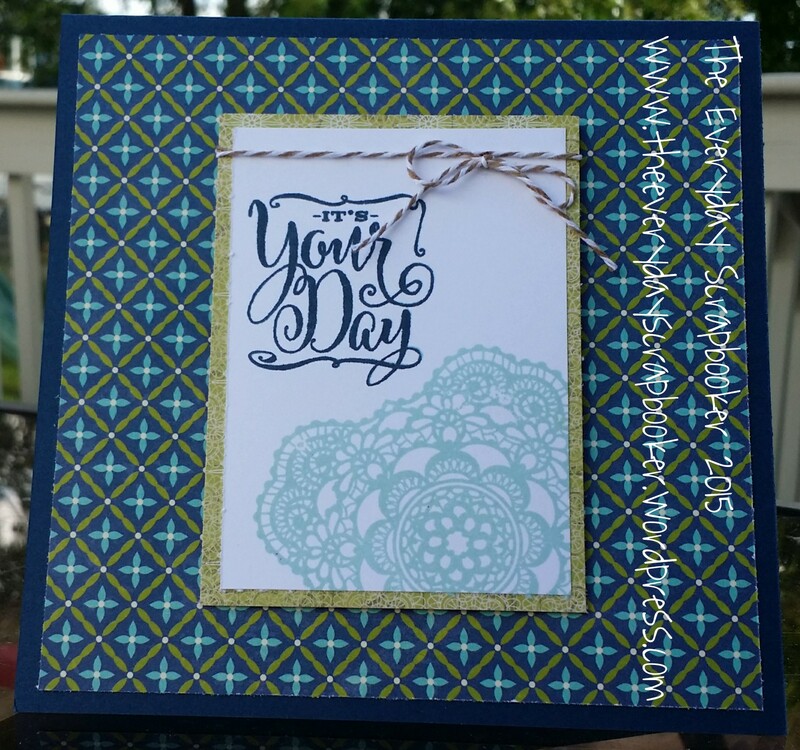 The card was made for a dear friend that celebrated her wedding anniversary last weekend. 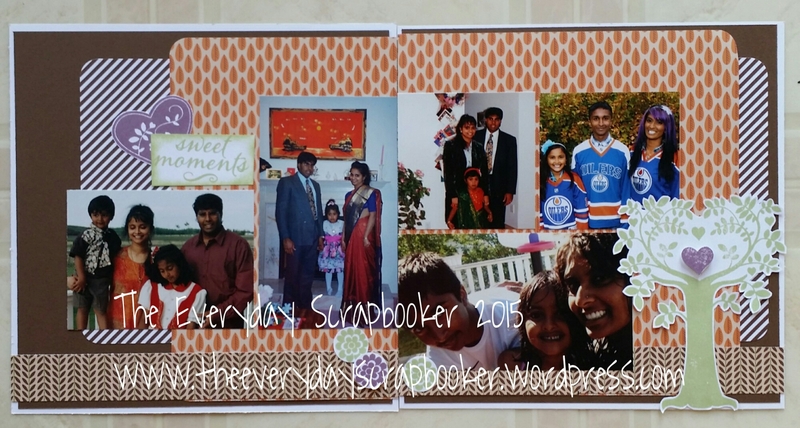 The middle project- a personal scrapbook layout, is about my insatiable appetite for reading. I struggled through my teen and early adult years to get back into reading, and it seems that recently, I’ve succeeded. In the last month, I devoured three books. It felt good. Have any suggestions? So far, I love Susan Wiggs…I found a great app- My Next Read- which is a wonderful way to find similar authors or stories that you love. You can even save your faves for future reference. In addition, you can buy your faves via Amazon. Pretty cool, huh? I’m contemplating buying Between Friends by Debbie Macomber. It was such a great read! Anyway, I’ll be back again soon with more crafty inspiration! Hope to see you again! All three of these projects have mostly CTMH products on them, with a few touches from other manufacturers here and there! 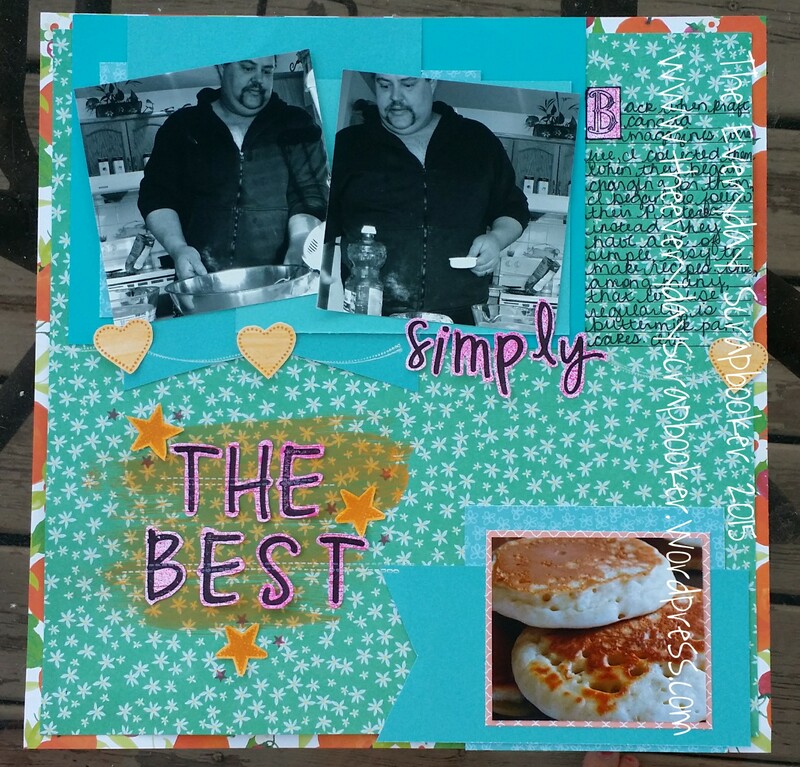 The third project, a page in my personal scrapbook album, has a water color background that was created by coloring directly on an acrylic stamping block and spraying it with water. 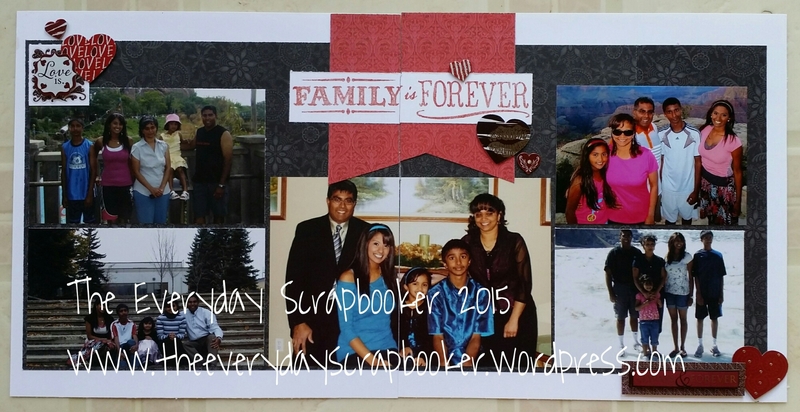 Stamp and repeat until the entire page or space you want covered is covered! Easy Peasy! 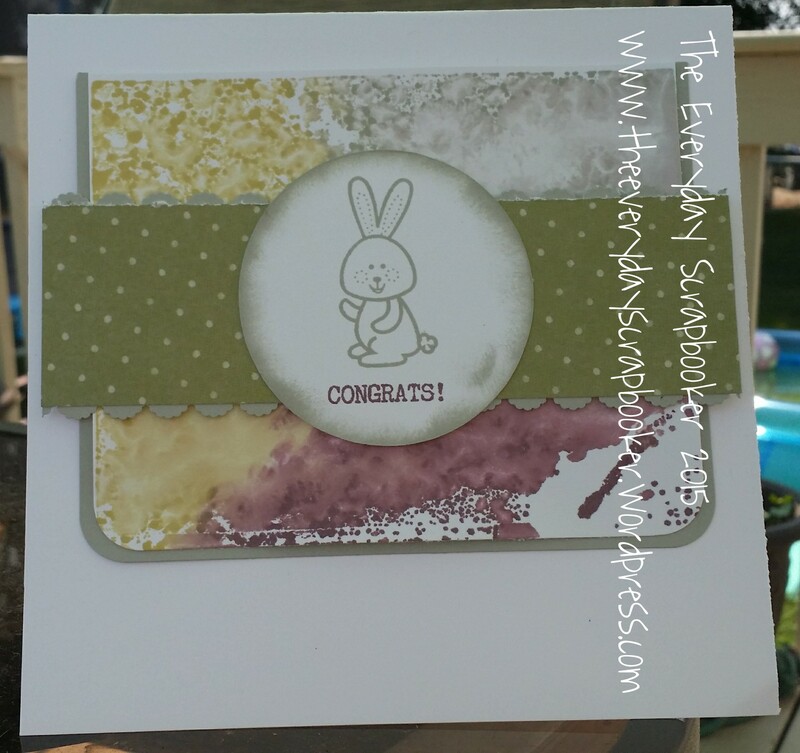 The card was made for my husband’s boss, who just welcomed his second grandchild into the world. Tomorrow I’ll share another card that goes along with this one. Good morning, friends! While I was hiding under my proverbial rock yesterday, I decided on a whim to try out my cricut. I’ve been having problems with it, and figured I’d get on the phone with them since I was alone and wouldn’t be interrupted. Luckily, I didn’t need to phone cricut- the issue seemed to have magically resolved itself! After following a few simple instructions, it was back up and running, setting my pulse racing and my heart a flutter! Stay tuned for cricut projects in the near future! I just love this spread. I especially love the focal photo of the two sisters. That purple hair is pretty great! Everything here is CTMH. This card was made for the neighbor boy. Not only did he recently graduate from high school, he also turned 18 a few weeks ago! I left it on the windshield of his pick up…he thought it was a traffic ticket. Lol! I created a water color background for the middle panel by coloring on an acrylic stamping block with gelatos then spritzing it with water. Uber simple and effectively stunning! If you haven’t tried it, you should! 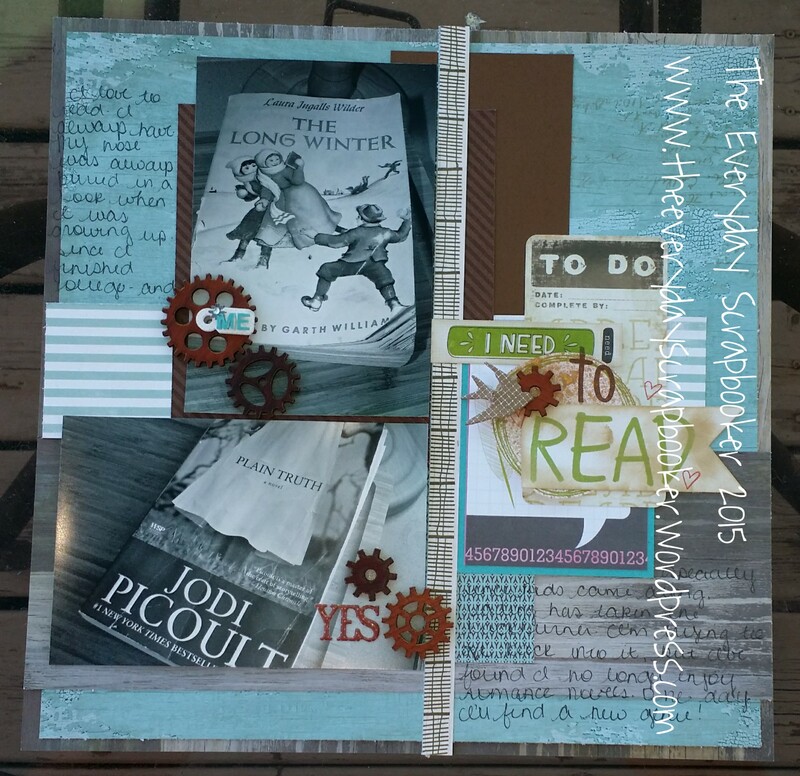 Another mixed media layout! I watercolored the background, sprayed ink and stamped. A lot! When my babies were still babies, we always wondered if they’d inherit their parents’ curly locks. It wasn’t until they were about 2 years old, that the curls started coming in. I was elated! Now, both girls have luscious curls, but I’m finding miss Addison’s is curlier than Marens. Very interesting, in my mind. Just wait until they start using the diffuser attachment on a blow dryer. Wowza! That’s all for today, but there’ll be more to share tomorrow! I hope to see you again! I’m listening to and rocking out with Luke Bryan as I type this. I had a day to recharge the batteries, and it was phenomenal! If you want a good song, look up Kick the Dust Up. It’s a definite gooder! 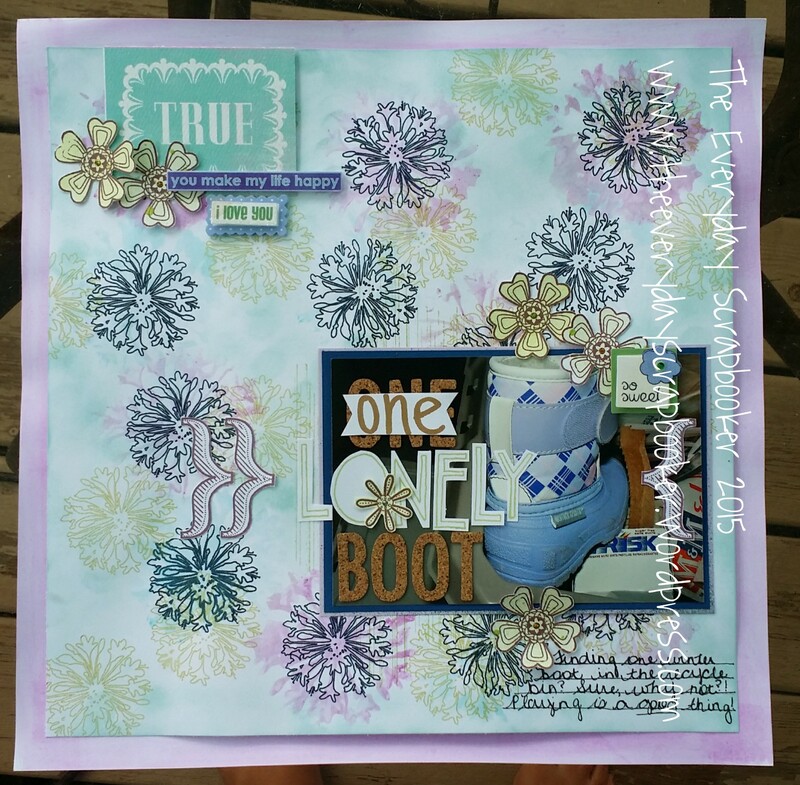 I used mostly Taste of Summer here, and a touch of Flair stamps. 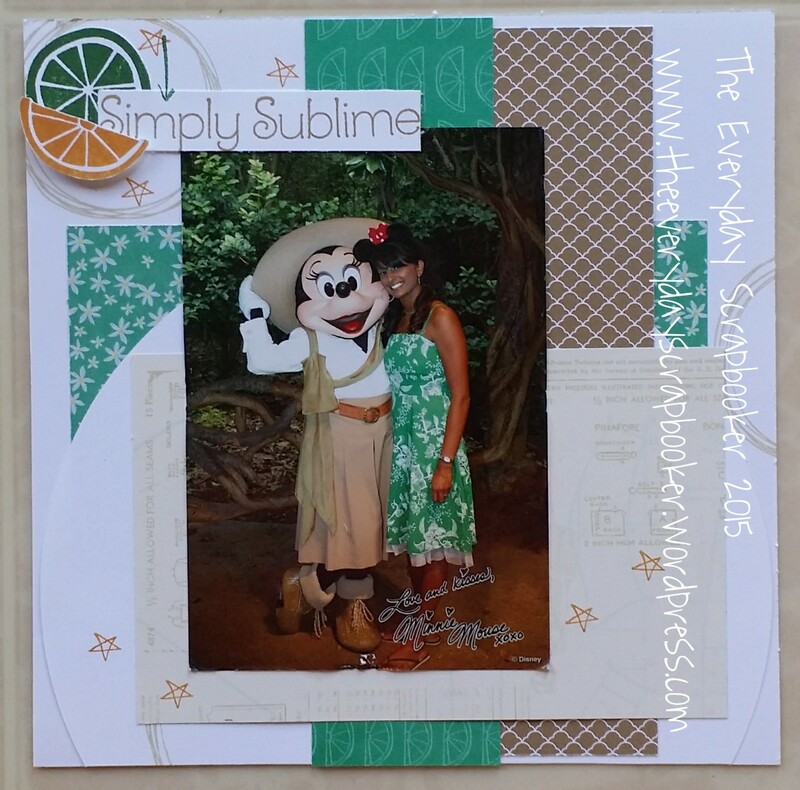 I wanted to highlight the warmth of the tropics here, and the subjects’ green dress. Another family favorite here- pancakes from scratch! Thanks to Kraft Canada for the recipe, this will die hard, I think! 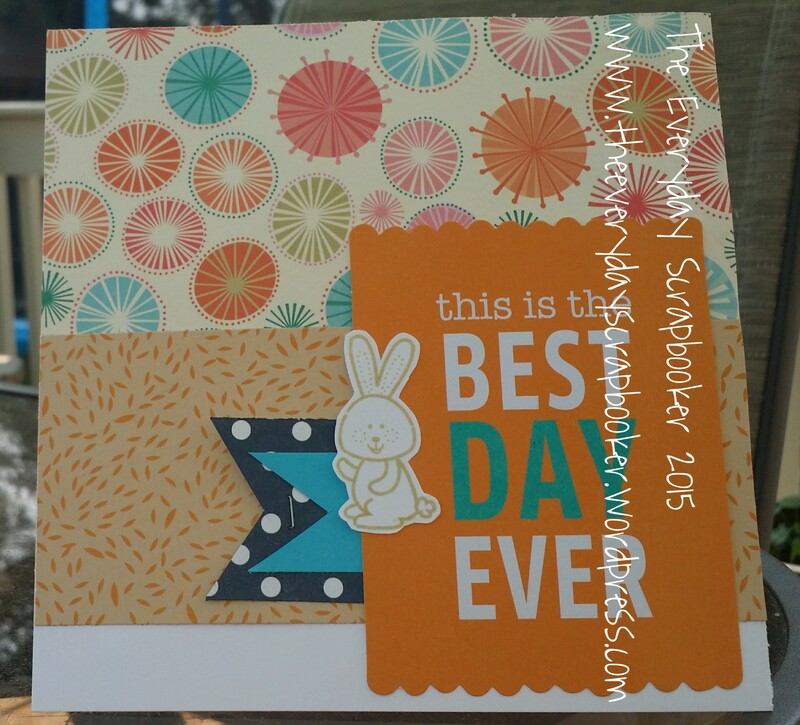 I used more Taste of Summer on this layout, and even used some orange acrylic paint to highlight my title. There’s also a touch of watercolor here too. 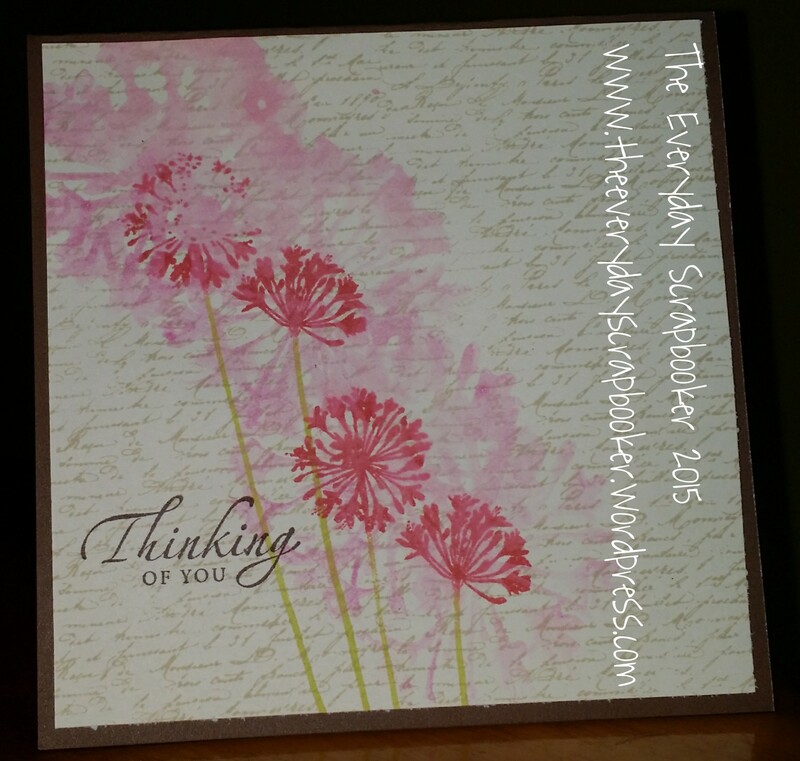 Here’s the second sympathy card that was specially requested by my dear friend. Scroll back one post to see the first of these two cards. 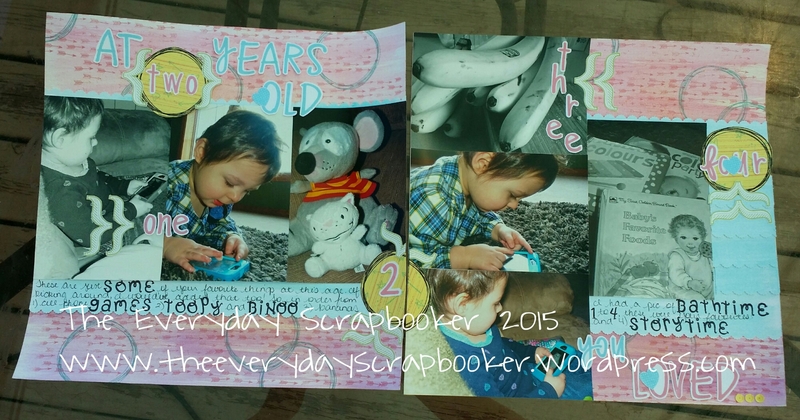 This particular card was a scraplift. Find it here. 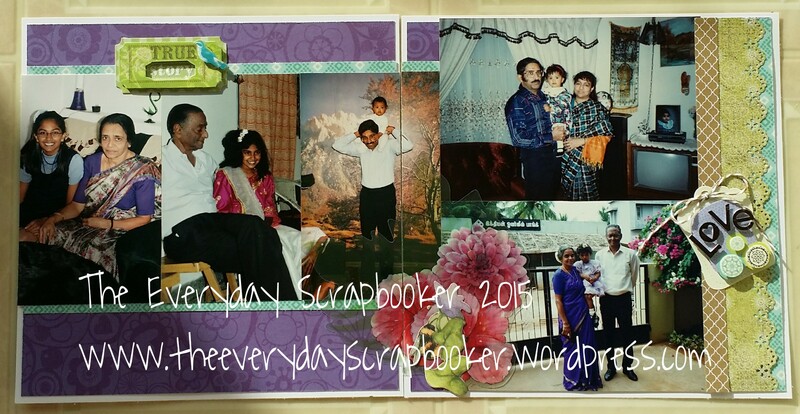 I’m so in love with this card, I want to replicate it again one day. The lightest portion of the flowers petals is watercolored. I hope you enjoyed today’s projects, and I hope you join me again tomorrow! Hello, I’m dropping in quickly, to share a few more projects with you. Time sure does fly, doesn’t it? 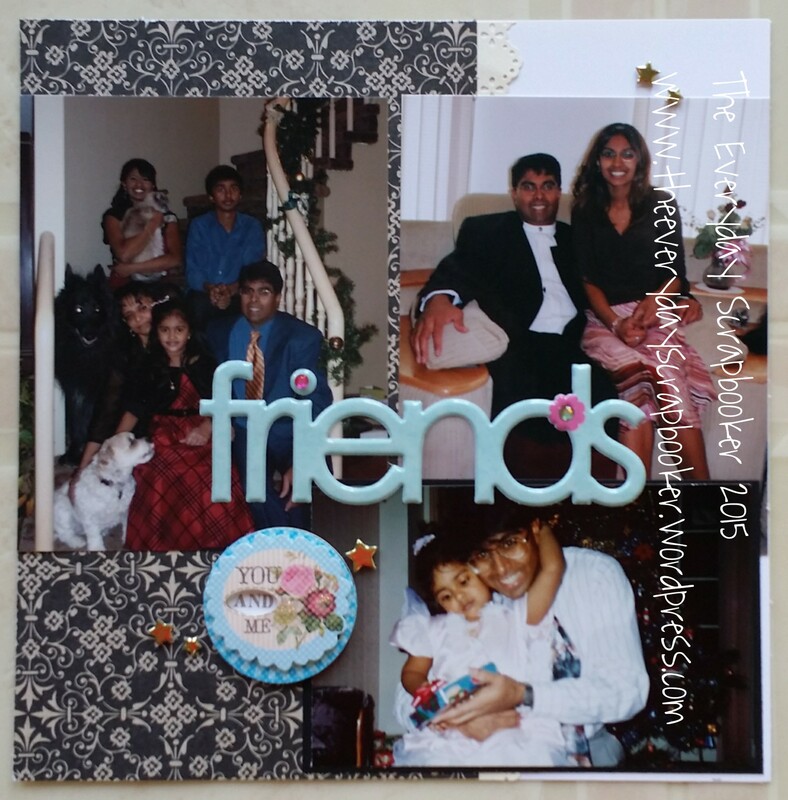 Except for the metal embellishment and the cardstock, everything here in CTMH. More mixed media fun. I painted with gelatos, stamped and layered on a bunch of paper. I wanted to create a spread of the twins’ favorite things; I love this idea so much, I have plans to do it again, at random times in the twins’ lives. Another special request! A dear friend asked me to make two sympathy cards. I obliged, of course! Stay tuned for the second sympathy card tomorrow. Yes, I created a water color effect again, but this time I colored directly onto the stamp, spritzed it with water, then pressed it onto my paper. I’m loving the effect it creates! Hi everyone! The week is winding down, and none too soon, either. We slept in this morning, and still felt tired even after waking up. But we’ve got swimming out of the way and we’re gearing up for book club. Mom’s stealing a bit of time to play while the twins are at book club. I can’t wait! I’ve got more projects to share today. Here, I used a mixture of products, with a strong emphasis on Close to My Heart, once again. Some of the papers are SU, and the sticker embellishments are K&Co, I think. 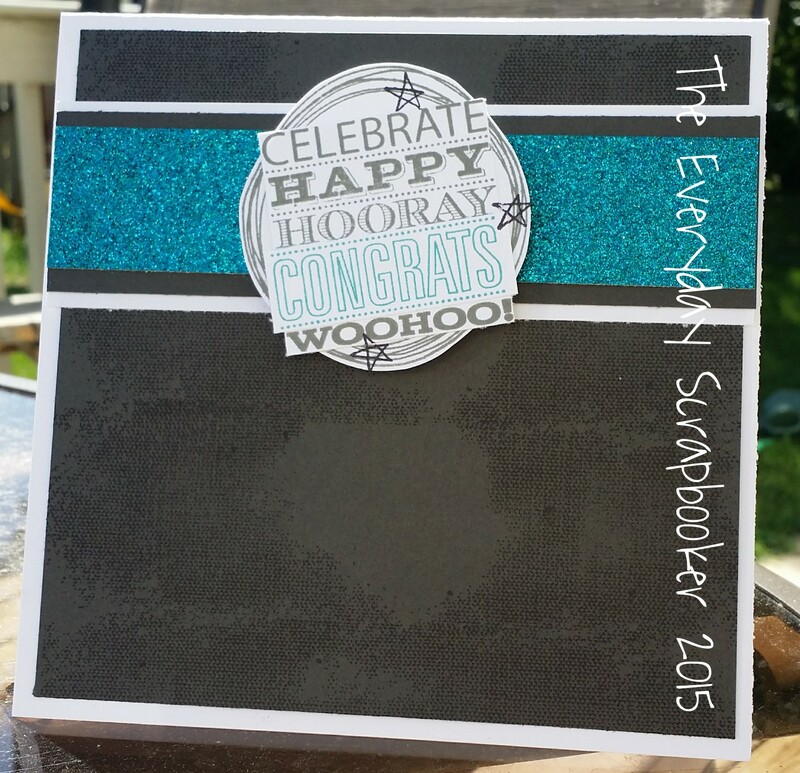 I made this card for the neighbor boy, who recently graduated from high school. I hear his plans include applying to the RCMP, and cross training while he waits for acceptance and test results. We’re hoping the best for him! I broke out my gelatos again for this layout. I used a few techniques- applying the gelatos as water color, then stamped using the gelatos and lastly stamping with ink. 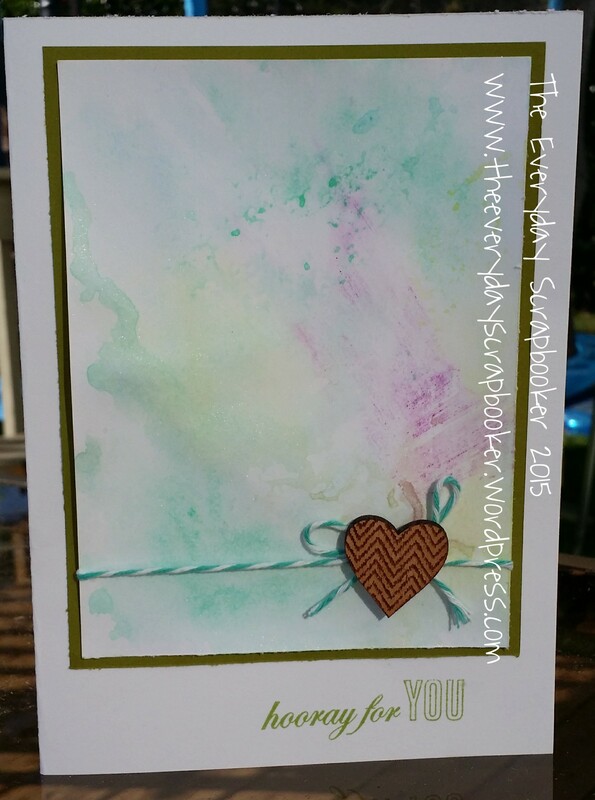 I created the lavender border using gelatos as watercolor, as well. Note: the cork alphas came from none other than the DOLLARAMA!!! I’m very impressed! The stamped alphas are CTMH. I hope you’ll find the time to join me again tomorrow! Good morning! I realized yesterday, that I’m drowning in a sea of unposted projects- layouts, cards and special requests, so I’m going to bulk up on the projects until I’m caught up! 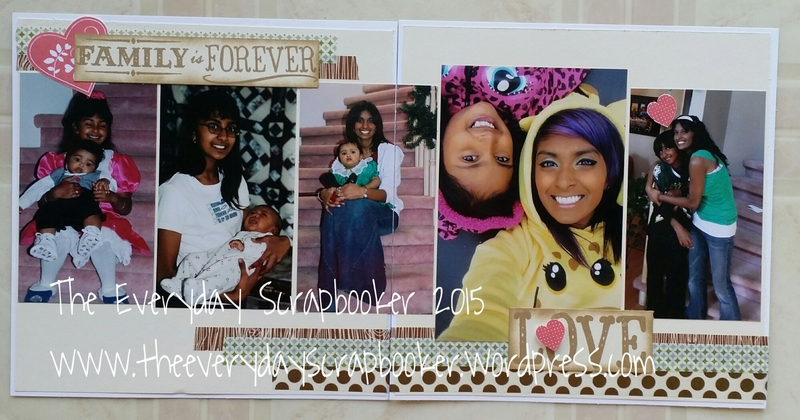 So, to start off, I’ll share a card, personal layout- for my own album and a special request double page spread. I hope you enjoy! In order, starting with my first layout, I used a brown, blue and red color scheme, which are the colors found in the pictures themselves. 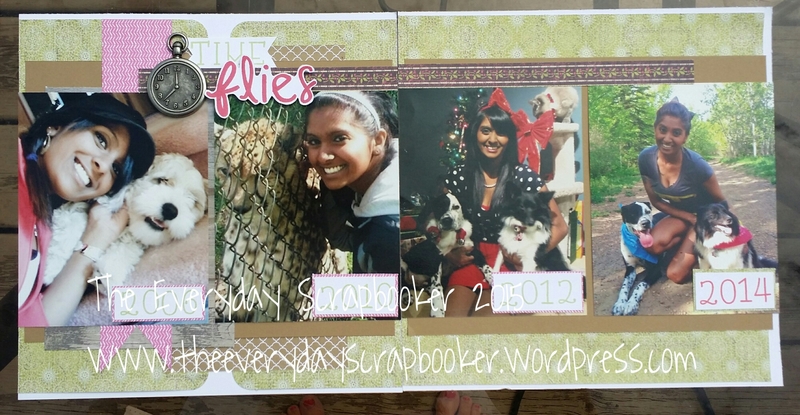 The paper clip I used, which grouped together like pictures before they were scrapbooked, found a home on this layout too! Since it was still a “school” themed/grad layout, I thought it worked. 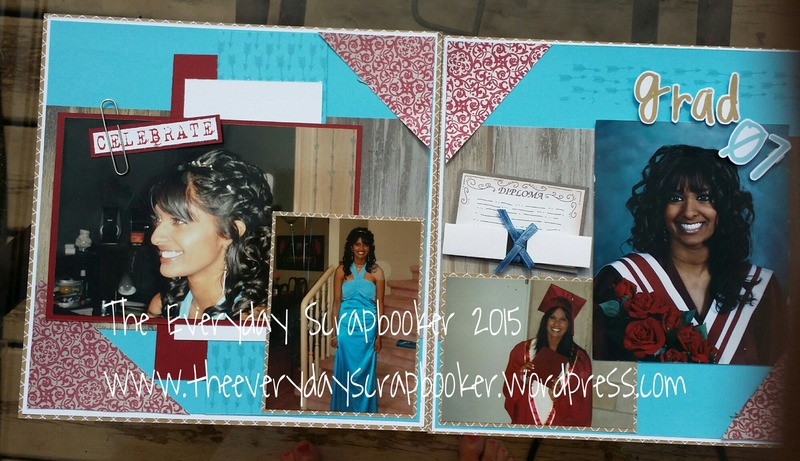 The diploma embellishment has been in my stash for eons! I finally made use for it! 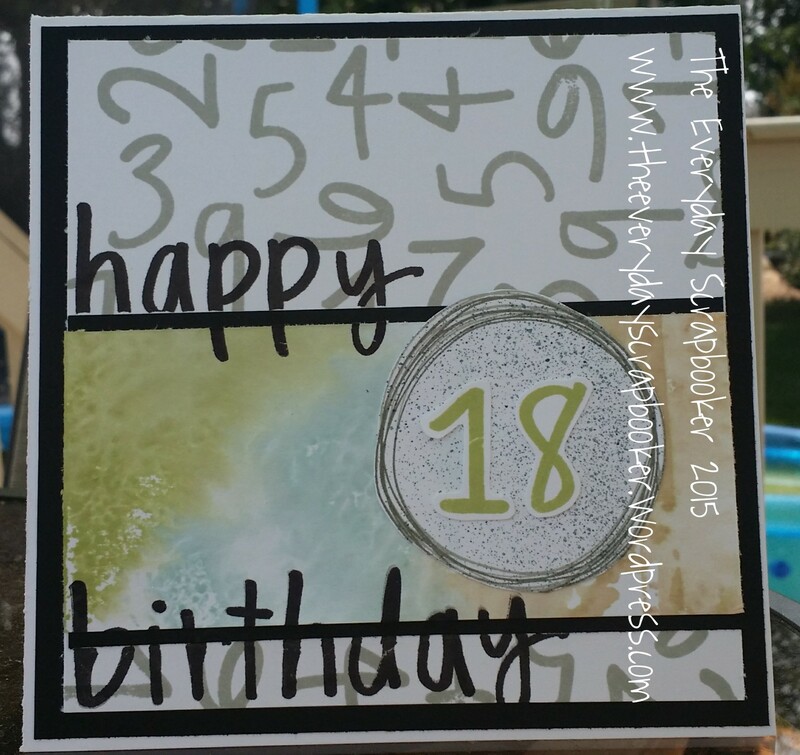 I made the card, which is in the next picture, for my husband’s aunt, who’s celebrating her birthday in late August. She lives in SK, so I wanted it finished early so I wouldn’t forget to make one! Lastly, my personal layout, which is the third picture, began with the song Water, by Brad Paisley. It quickly turned into a group of lyrics to help describe my daughters’ affinity for water. I also just bought my first set of gelatos, and I tried them out on this layout! See you again tomorrow! Thanks for dropping by! Hello! I have another double page spread to share- and I better hurry through the rest of the spreads I made previously (special requesrs), because another special request has come in, and I’ve already started working on it! Eep! 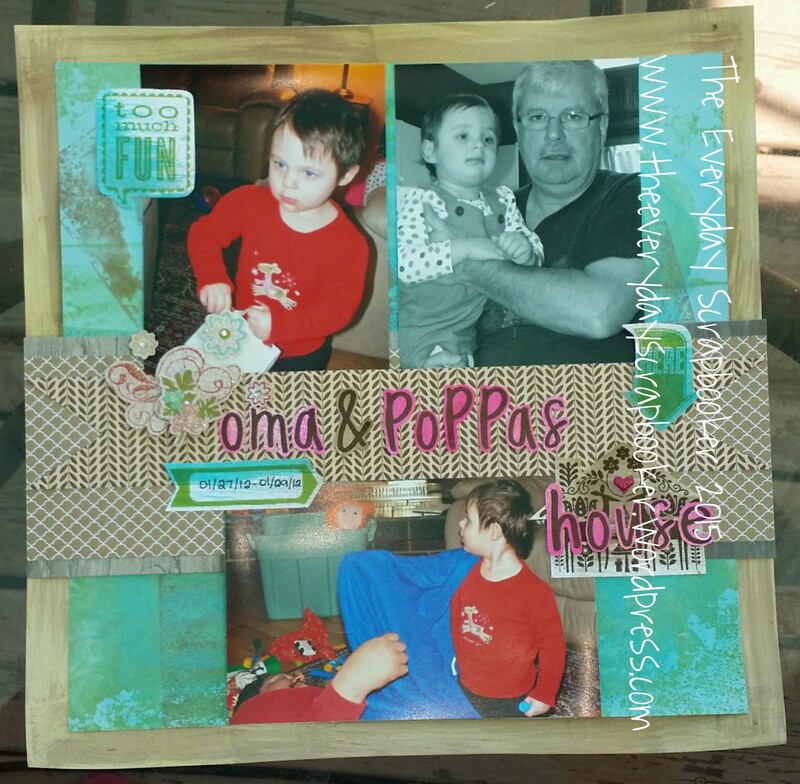 I used one of CTMH’s Cricut bundle stamp sets on this spread, and stuck with a pink, blue and red color scheme. 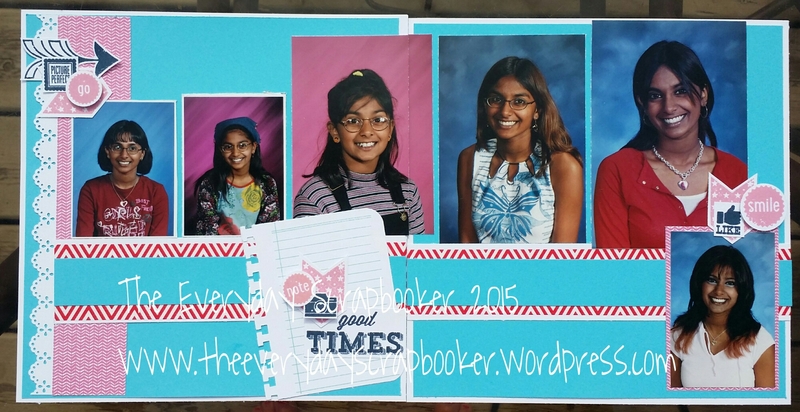 I thought the stamp set worked well to highlight the school pictures my client had sent along! 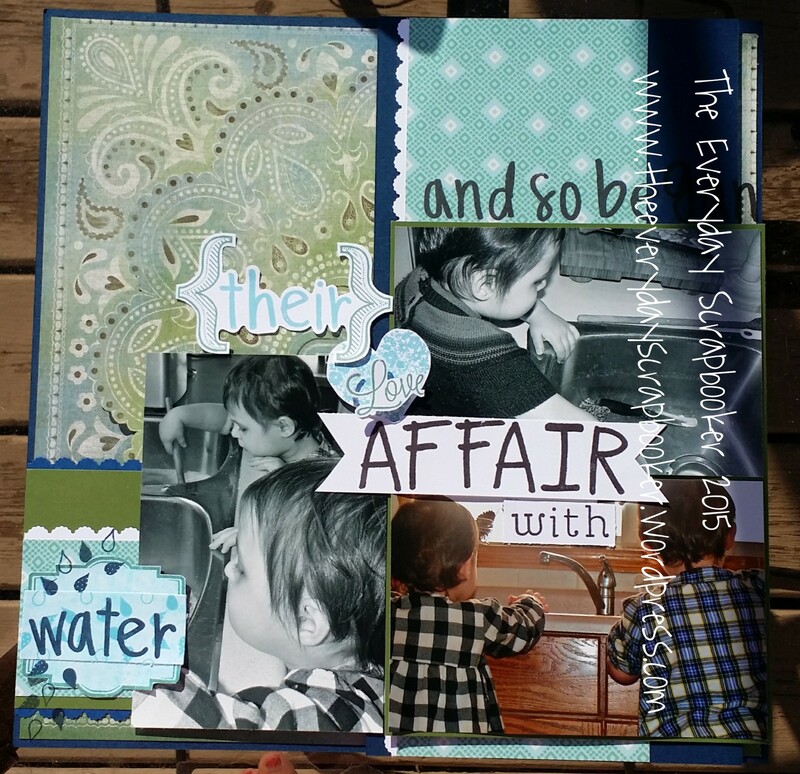 Join me tomorrow for more layout goodness. Hope to see you then!